Until the 14th Dalai Lama fled to India in the year 1959, Potala Palace was the adobe to the Dalai Lama in the Lhasa, Tibet. It is one great icon of Lhasa, Tibet Autonomous region that symbolizes the followings of Buddhism in the country. Being situated at the top of Red Hills which is about 35,000 meters above the sea level, Potala Palace shows the artistic philosophy and creative architecture of the ancient times. However, now it has been converted into a museum. Being listed as the World Heritage Site by UNESCO in the year 1994, the palace enfolds some very interesting and amazing facts. Let’s take a look at them. 1. 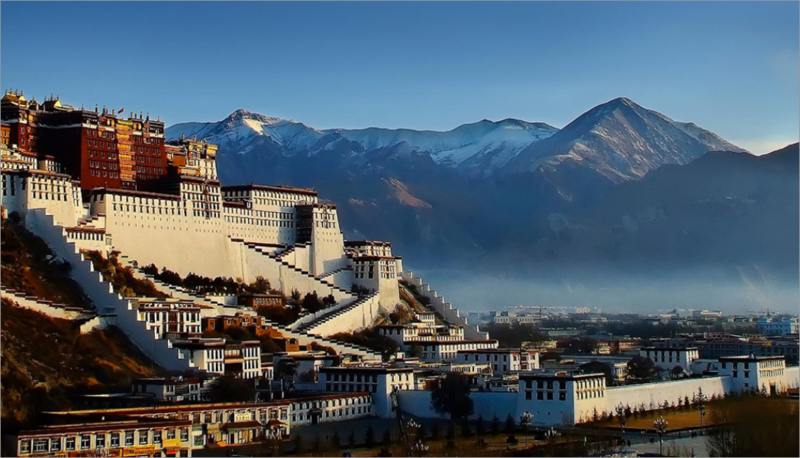 Potala Palace was named after Mount Potalaka which is considered as the mythical adobe of Avalokiteśvara who has attained the bodhisattva. The story of it construction is way back in the 7th century when it was built by the emperor of Tubo Kingdom, King Songtsen Gampo who ruled Tibet at that time. He made it to get his two wives, Princess Bhrikuti of Nepal and Princess Wencheng of Tang Empire housed in the palace. 2. When Tibet got rid of the Tubo Kingdom, the palace got alone devastated until during the 17th century when the 5th Dalai Lama decided to reconstruct the site. 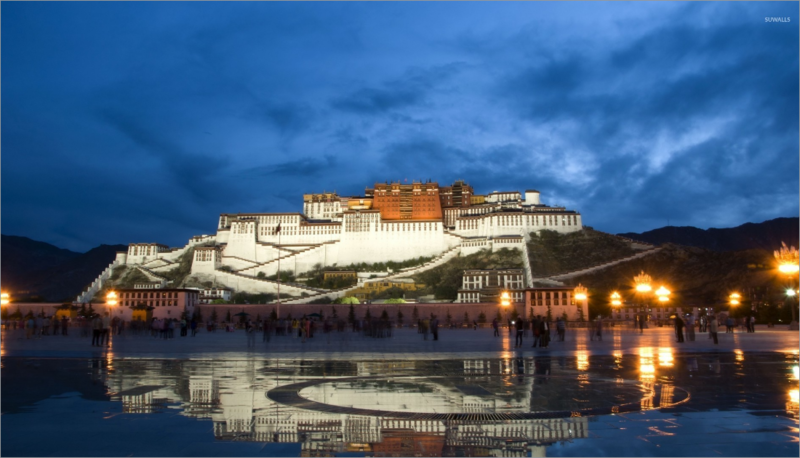 After many years of hard work, the Potala Palace got constructed and began to serve as the political and Buddhism center of Tibet. Although in the following years many small constructions keep on taking place near the palace but the Potala Palace remain as such with no alterations in the past. 3. 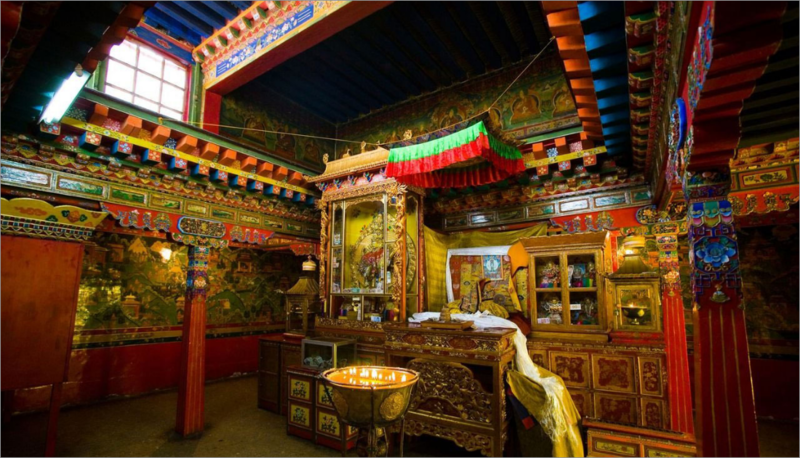 The glory of Tibetan history can be easily assumed by taking a view of the artwork and the preserved religious treasures since time immemorial. The palace being built by wood and stone is about 117 meters high covering the area of 400 meters east-west and 350 meters north-south. The thirteen storied building make use of staircase to move to and fro in different floors that in total contains over 1,000 rooms, 10,000 shrines and about 200,000 statues. 4. The 698 murals posted on the walls of the palace, explaining the Tibetan history and the making of the Potala palace gives a detail notion about the place. 5. The Potala Palace in embellished with a white palace and a red palace. While the white palace is being used by Dalai Lama to live and practice Buddhism, red palace consists of different temples, Buddhist halls and libraries. 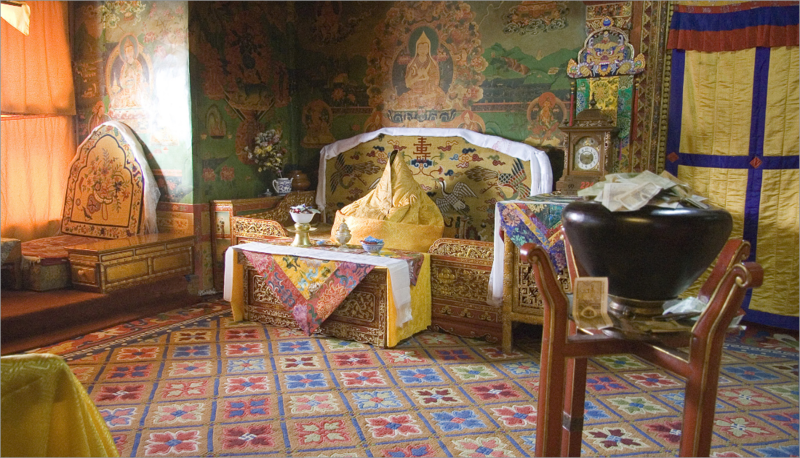 The ambiance of the palace is as spiritual as it could be when it was used to religiously train the monks. 6. The serene view from the Potala palace makes it even more adoring. From the roof and balconies, one can encounter the beauty of Lhasa city. The amazing view of the valley and the snow-capped Himalayas on the other side makes it worth a visiting place.